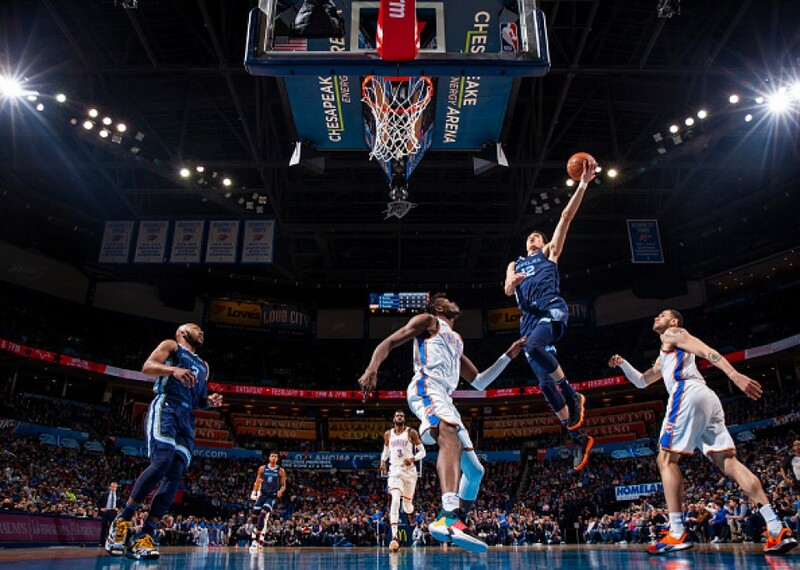 The Memphis Grizzlies wrapped up their season Wednesday with a 132-117 win over the visiting Golden State Warriors, but Japanese forward Yuta Watanabe was already looking ahead to another year in the NBA. After splitting his rookie season between the Grizzlies and their development league affiliate Memphis Hustle on a two-way contract, the 24-year-old has set his sights on a full-time NBA roster spot. The Grizzlies have an option to offer Watanabe another two-way deal, but it is unclear which direction the team will take. 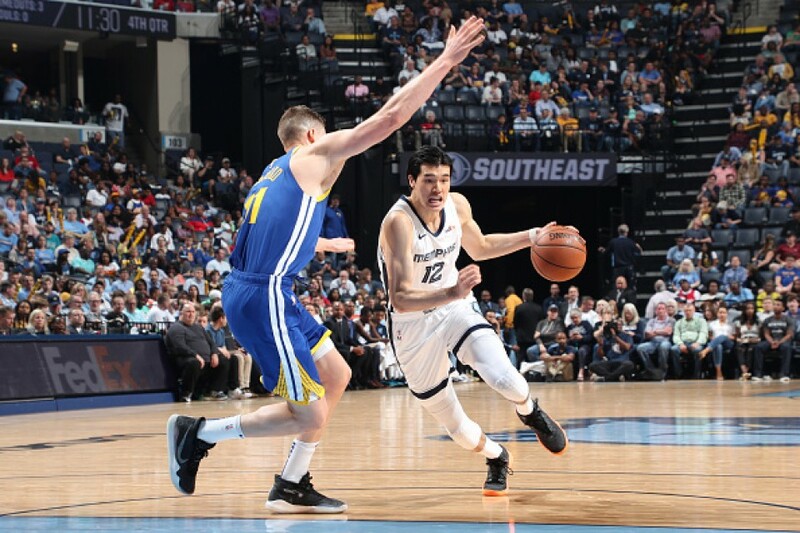 "Before I came to the U.S., I heard a lot of reasons why I shouldn't come, and many people said I wouldn't be able to make it," said Watanabe, who scored four points off the bench against a Warriors side resting players ahead of the playoffs. With 14 games under his belt, he is already the longest-serving Japanese NBA player. Before Watanabe's debut against the Phoenix Suns in October, former Suns guard Yuta Tabuse was the only Japanese to have played in the world's premier basketball league. His NBA career lasted just four games in 2004. Watanabe averaged 2.5 points and 1.9 rebounds in just over 11 minutes per game this season, coming off the bench for a rebuilding Grizzlies franchise that finished well outside the Western Conference playoff race at 33-49. "I'm obviously not satisfied with how this season went, but I'm still proud of finishing the season as an NBA player," he said. The 2.06-meter small forward put up solid numbers for the Hustle in the G League, averaging a shade above 14 points, seven rebounds and one block over 33 games, 32 of them as a starter. The former college star for George Washington University -- who is set to represent Japan at the FIBA World Cup in China later this year -- plans to get straight back into the gym to work on his game. "In the off-season I'll work on my shooting, so I don't miss any makeable shots. My goal is to be on a full NBA roster," Watanabe said. "It's important to strengthen my body, while also improving my shot. Shooting and defense are how I'll make my living, so those are the areas I really have to work on." While his accomplishments have earned him the admiration of basketball fans back in Japan, Watanabe understands there are no guarantees in one of the world's most cut-throat sports leagues. "Next year is make or break for me, so it's essential to start off strongly, right from the outset. This offseason is therefore going to be really important," he said.